The Seven Shires Way is a walker's guide book, describing a 234-mile walk around the Oxfordshire country boundary. 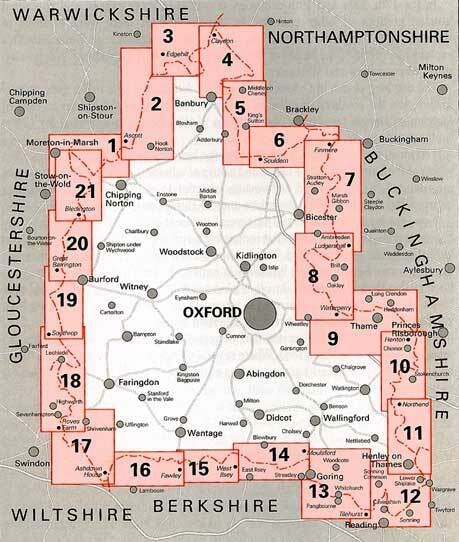 The route criss-crosses the boundary taking the walker into seven shires from Gloucestershire to Oxfordshire, Warwickshire, Northamptonshire, Buckinghamshire, Berkshire and Wiltshire. The path passes through a wide variation of scenery; from the marlstone scarp slope of Edgehill in Warwickshire to the ironstone villages of North Oxfordshire, the clay vale of Aylesbury, the beechwoods of the Chiltern Hills, the riverbank of the Thames, the open downland of Berkshire and Cotswold villages in Gloucestershire. The book divides the Seven Shires Way into twenty-one sections, all of which have suggested access points for shorter distances, a list of useful accommodation and information about public transport. Each walk is accompanied by the relevant section of the Ordnance survey map and is vividly illustrated throughout, giving archaeological, historical, botanical and literary detail.